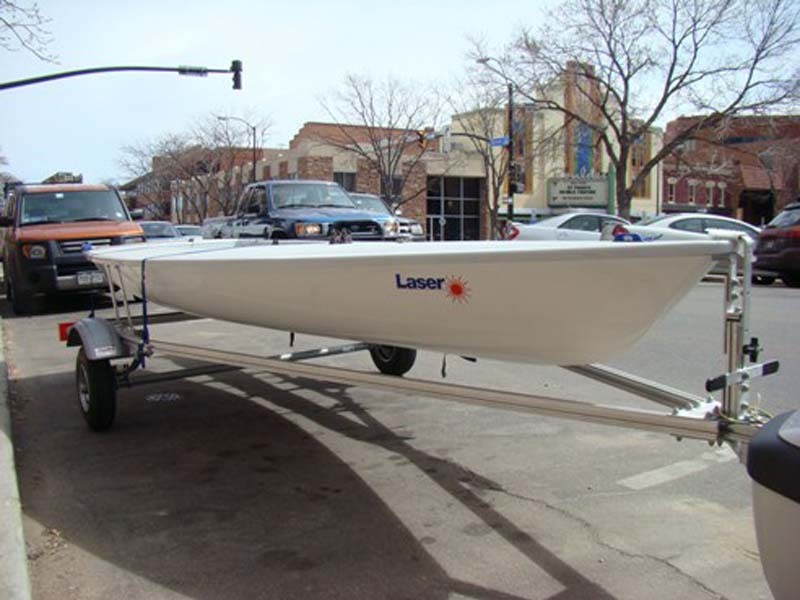 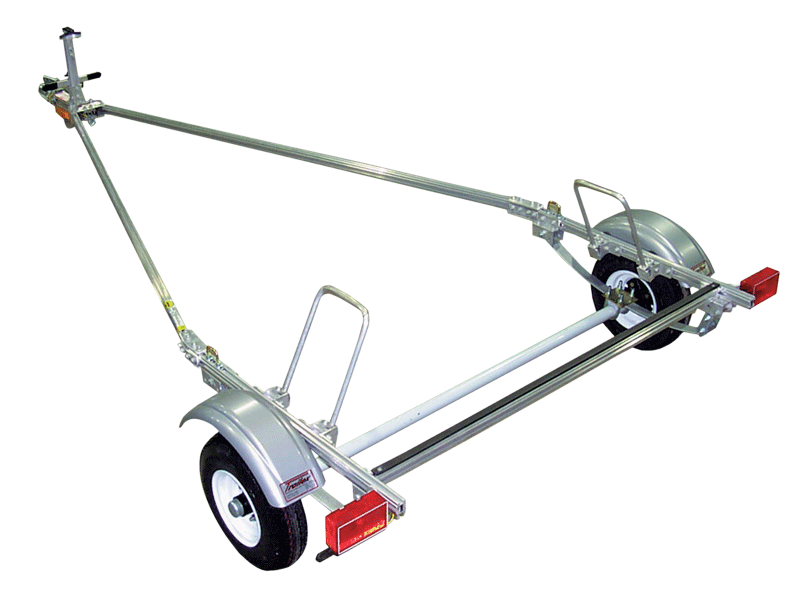 These trailers are specifically designed to carry the Laser I and II or Byte sail boat. 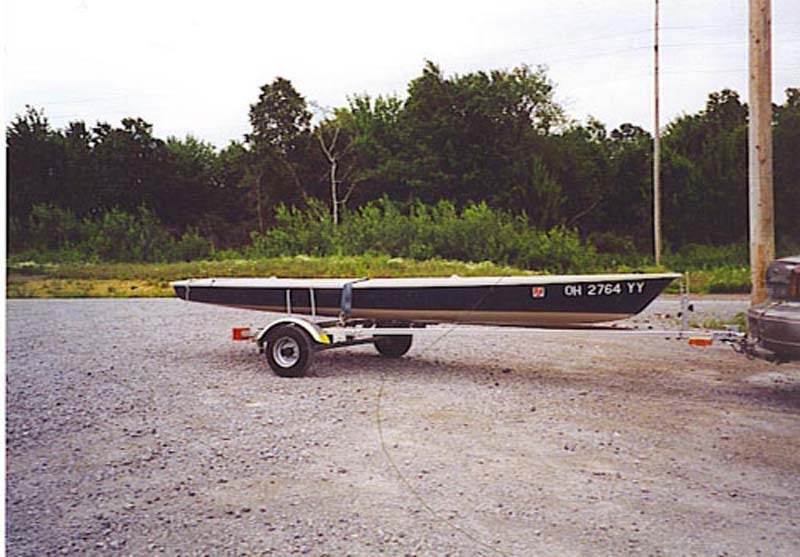 Boats are supported at 3 points under the bow and gunwale eliminating hull stress points. 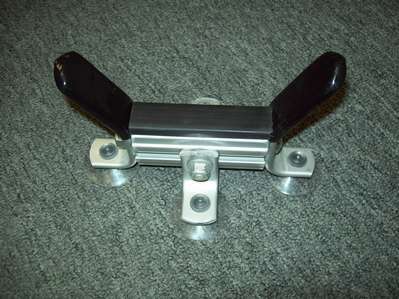 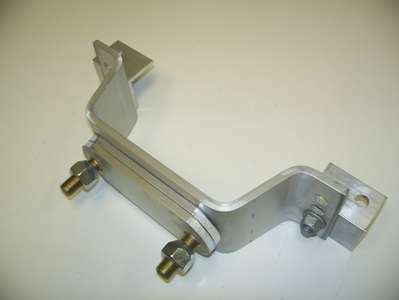 One person can load or off load using the standard swivel bow support. 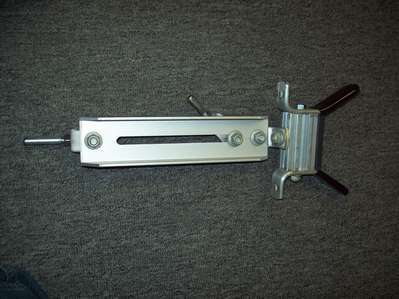 Shipping weight 142 pounds. 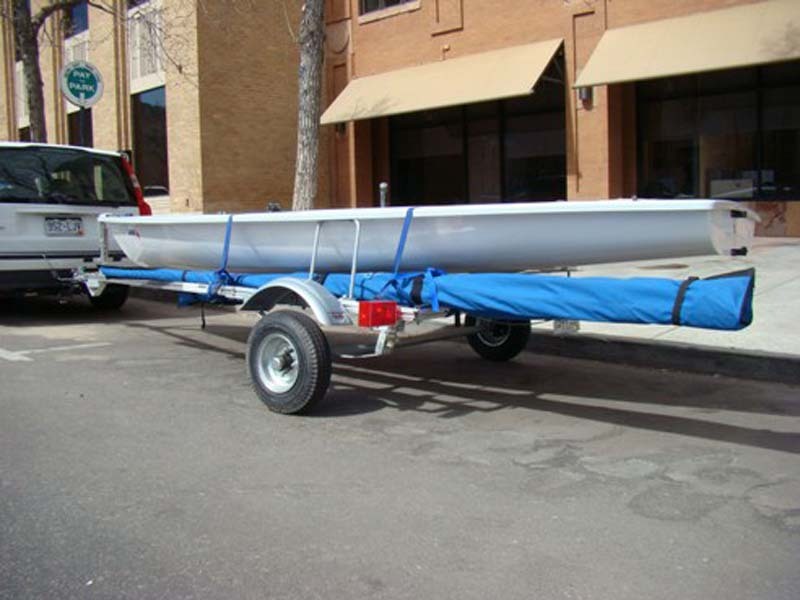 Assembled length 12' 1" width 74". 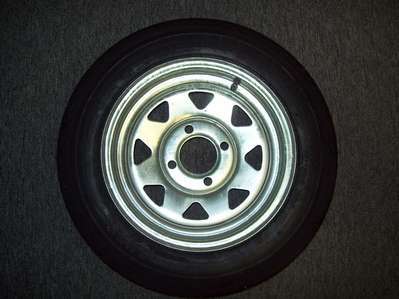 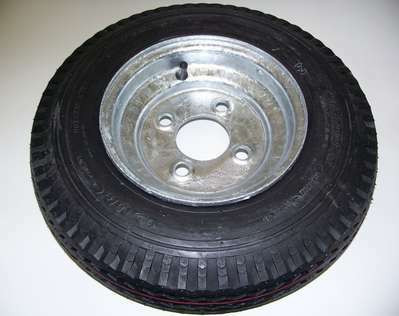 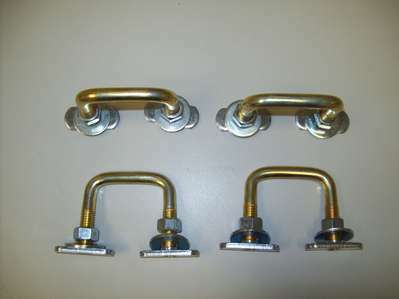 Special Spare Tire Carrier For Laser Trailers Only.